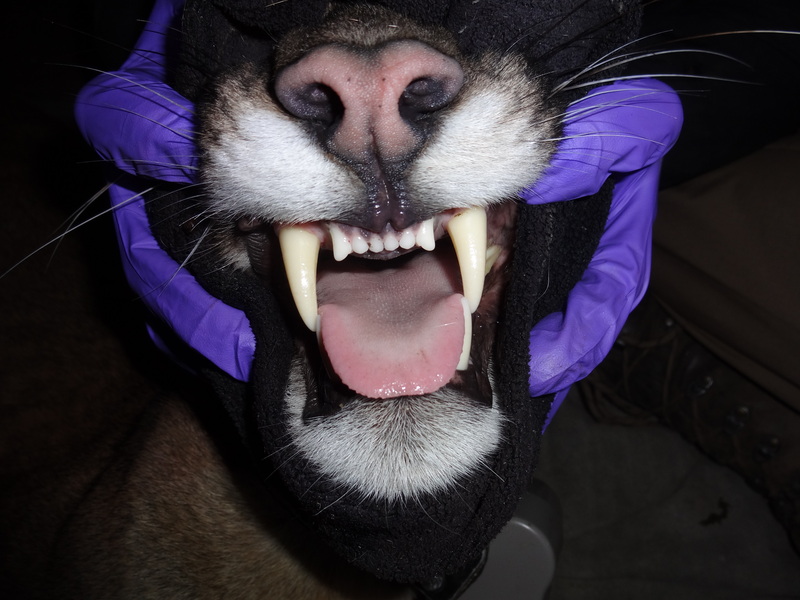 The Santa Cruz Puma Project has been ramping up our captures in the last month in order to better study the puma population of the Santa Cruz Mountains. Here’s an introduction to 52F, 53F, 54M, and 55F! 52F is 5 years old and about 80 lbs. She has two kittens about 6 months old and lives at the very end of Empire Grade. Because 52F lives in mostly undeveloped land, she can teach us a lot about how pumas in our study area live naturally. 53F is 2 years old and just over 70 lbs. 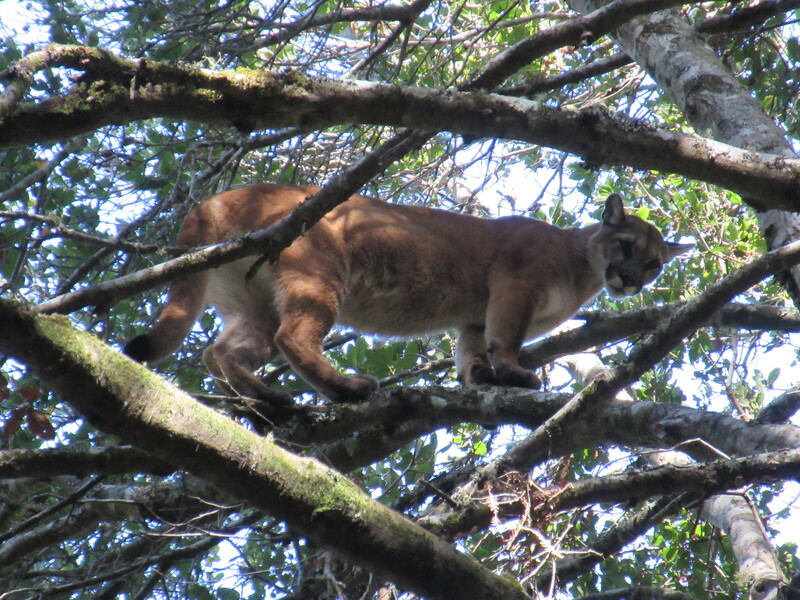 She lives primarily in Sierra Azul Open Space Preserve. 54M is 1.4 years old and about 90 lbs. He is likely a dispersing male, on his way to establishing his own territory. We captured him very close to Laurel Curve on Highway 17, the future site of a wildlife underpass being developed by the Land Trust of Santa Cruz County (read more here). 54M may provide us important information about this important corridor as he continues to explore and establish his territory. 55F is 3 years old and 90 lbs. Like 52F, she lives in a very undeveloped area between Big Basin and Castle Rock State Parks. We look forward to learning more about Santa Cruz pumas as we follow the journey of these four pumas!